Whether you're purchasing 5,000 upgrades for a university or just one for a pre-school classroom, shopping at Crucial.com can make the process go more smoothly. At Crucial, we have an entire team dedicated solely to making sure we're doing all we can to meet the unique needs of government and education customers like you. 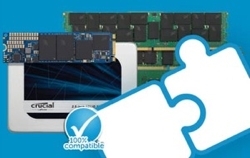 In fact, we've virtually eliminated nearly all the hassles of buying memory upgrades. Our Memory Selector™ can help you find memory upgrades guaranteed to be compatible with your system or your money back. Our low prices make upgrades easy to afford — even on a limited budget. Best of all, while most of our customers find that ordering online is easy and convenient, our dedicated enterprise sales team members are always ready to help if you have any questions. And they're just a phone call or e-mail message away. At Crucial, we sell the same top quality memory that the world's leading computer makers install in their systems. In fact, there's a pretty good chance that the memory currently in your system might have come from our facility. Crucial is a division of Micron, the only DRAM manufacturer based in the U.S. and one of the largest in the world. 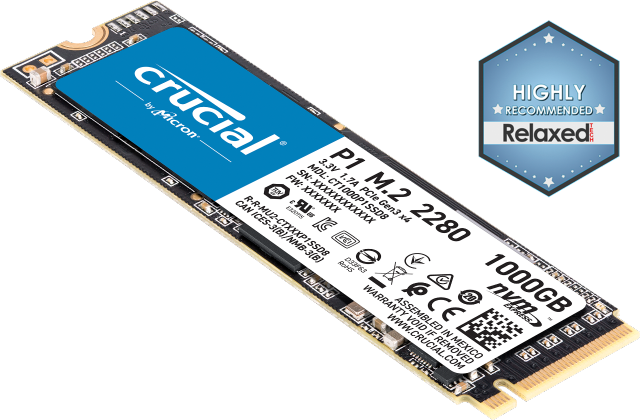 Crucial is also the only place you can buy memory upgrades directly from a memory chip manufacturer. And when you order from us, you'll receive upgrades with top-quality memory components. We stand behind our products with a 30-day money back compatibility guarantee, and a limited lifetime warranty. Anytime you have a question, you can contact one of our friendly Memory Experts for free technical support. As a result, your memory will be as easy to install as it is to buy.